The Cannabis plant expresses certain compounds known as phytocannabinoids. The human body expresses similar compounds known as endogenous cannabinoids. Endogenous Cannabinoids are important for a healthy function of the human body. 2-AG and Anandamide are endogenous cannabinoids in the human body. These cannabinoids bind to and stimulate Cannabinoid Receptors found in the body. The brain and nervous system express Cb1 Receptors. Immune tissues and peripheral organs express CB2 Receptors. When binding or stimulating takes place, certain physiological functions will occur. These endogenous cannabinoids and the cannabinoid receptors they affect make up the Endocannabinoid System. Phytocannabinoids from the Cannabis plant offer many benefits for those looking to help balance the Endocannabinoid System. These cannabinoids to bind to or stimulate Cannabinoid Receptors. Recently, evidence of their benefits and capabilities has become overwhelming. Additionally, pharmaceutical companies have digested news of these compounds and their uses. This type of attention has forced the medical community to engage in more research, experimentation, and development of Cannabinoid products. 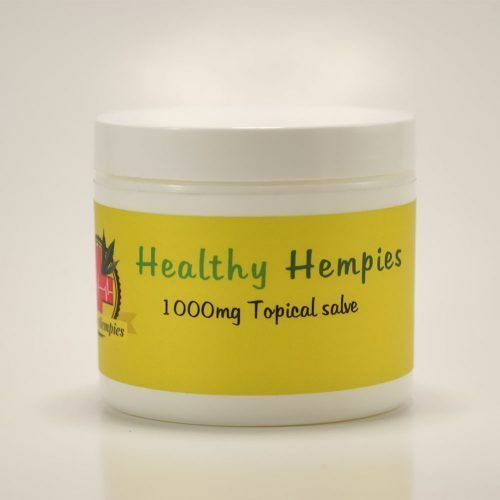 What Cannabinoids will You Find in Healthy Hempies’ Products? 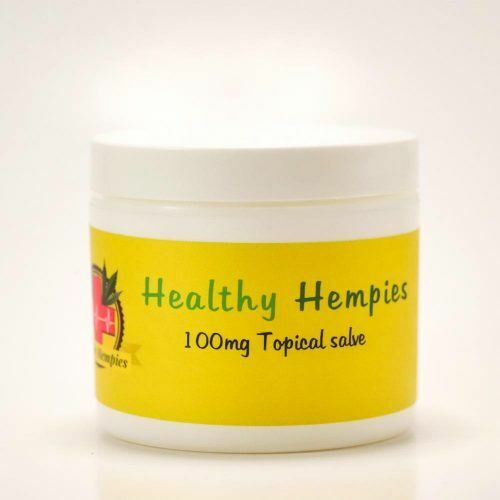 Our team strives to include as many cannabinoids as possible in all Healthy Hempies products. However, the Healthy Hempies is diligent in ensuring that THC is not one of them. 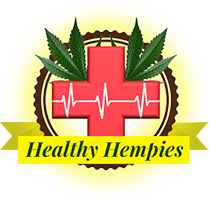 At any given time Healthy Hempies products will have between 4 – 5 major cannabinoids. Our products will always contain the most common cannabinoid on the market, CBD, in higher levels. We also include a variety between CBN (Cannabinol), CBC (Cannabichromene), CBG (Cannabigerol), CBDV (Cannabidivarin). Due to each crop having minor variances, the levels will differ with each batch. In fact, some batches may have non-detectable levels of certain cannabinoids. 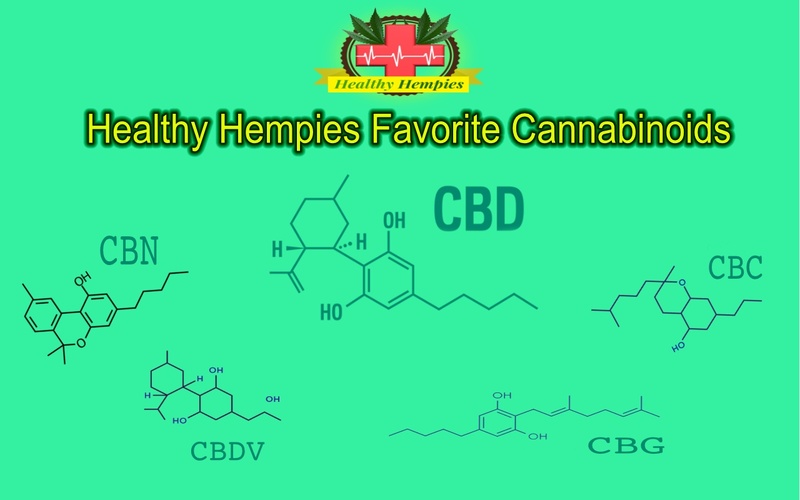 Why are these Healthy Hempies’ Favorite Cannabinoids? In several studies, multiple cannabinoids showed overwhelming capabilities of reducing neuropathic pain and inflammatory pain. These results are due to the fact that both CB-1 and CB-2 Receptors are important mediators for suppressing both inflammatory and pain responses. 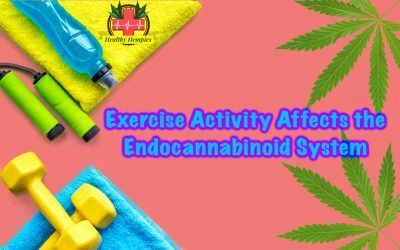 Cannabidiol acts as a CB-1 Receptor antagonist and has endocannabinoid modulating effects. Studies have expressed that local CBD administration inhibited pain and peripheral sensitization in established Osteoarthritis. 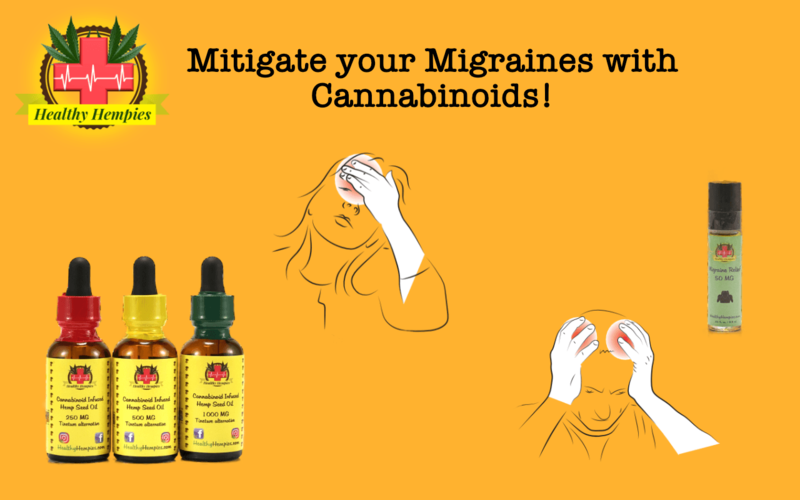 Following the postulation of the Clinical Endocannabinoid Deficiency Syndrome, studies indicated that anandamide (an endogenous cannabinoid) levels are reduced in those who suffer migraines and Fibromyalgia. The intake of Cannabinoids could help the ECS balance itself, consequently relieving the pain and inflammation. Cannabidiol showed promising results on cortical neuron cultures exposed to toxic levels of Glutamate. In fact, Glutamate toxicity was actually reduced by Cannabidiol. In-taking antioxidants prevents Glutamate toxicity. Cannabidiol and several other cannabinoids were demonstrated to be antioxidants by electrochemical measurements. 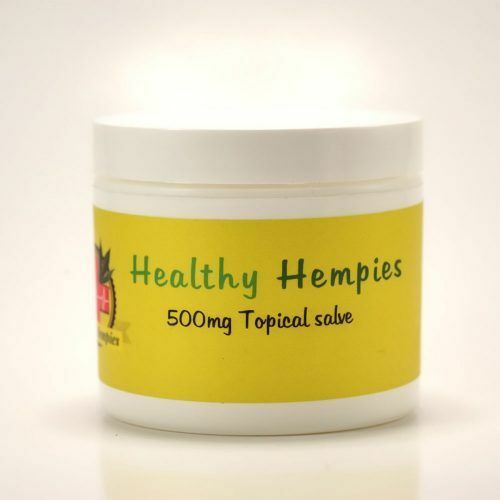 CBD prevents hydroperoxide induced oxidative damage. This evidence indicated that CBD could be a powerful neuroprotectant. When studied independently, Cannabigerol (CBG) was useful in the treatment of conditions that benefited from the agonism of CB1 or CB2 receptors. Conditions included in this group are pain (neuropathic, chronic and cancer), Neurodegenerative Diseases, Ischemic Events and Diseases, and Brain Injury. 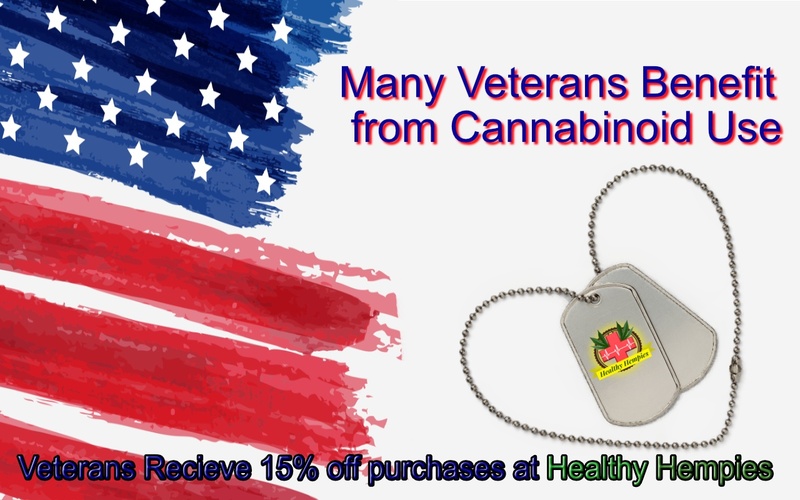 Cannabidivarin has been a popular cannabinoid related to neuropathic conditions. Several patents and grants outline the neuroprotective benefits of Cannabidivarin. Several cannabinoids have antibacterial abilities. The antibacterial activity of Cannabichromene in particular showed strong antimicrobial activity against gram-positive, gram-negative, acid-fast bacteria, yeast-like fungi, filamentous fungi and a dermatophyte (bacteria that cause skin disease). In fact, Cannabichromene, Cannabinol, Cannabigerol, and Cannabidiol all showed potent activity against a variety of methicillin-resistant Staphylococcus aureus (MRSA) strains. Cannabidiol use exerted positive results on those dealing with certain psychotic conditions. 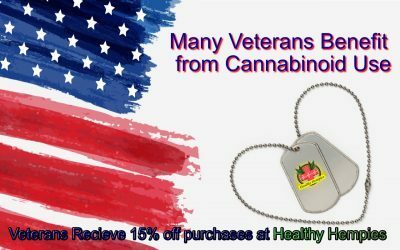 In fact, Cannabidiol enhances anandamide signaling and alleviates psychotic symptoms of Schizophrenia. Additionally, a study suggested that CBG may induce antidepressant effects. Moderate doses of CBG produced behaviors that were consistent to Imipramine (a common tricyclic antidepressant). Researchers have also found CBN to have high sedative effects to it. This would aid in sleepless nights, anxiety and panic attacks. Several patents already exist concerning the use of Cannabidivarin (CBDV) as an anti-epileptic and anticonvulsant. 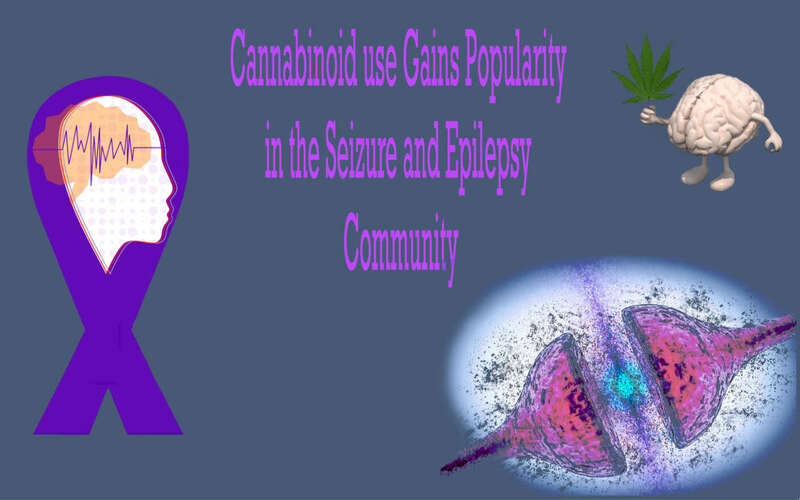 This is due to the overwhelming results of reduction in seizure activity when participants were dosed using some formulation of a Cannabidivarin type medicament. Other studies suggest Cannabidiol may be the Cannabinoid for anti-epileptic benefit. 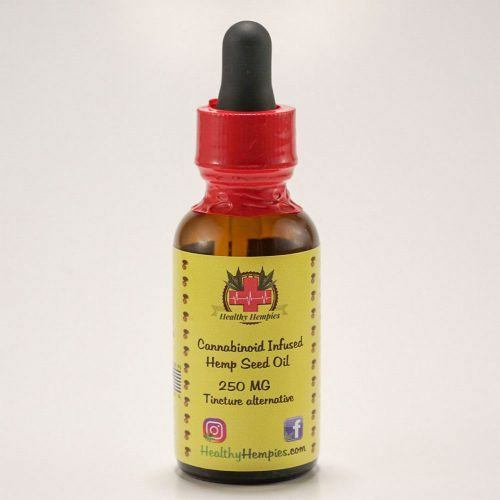 CBD was found to be superior to placebo in reducing the frequency of convulsive (tonic-clonic, tonic, clonic, and atonic) seizures in patients with Dravet syndrome. It also reduced the frequency of drop seizures in patients with Lennox-Gastaut syndrome. Both Cannabinoids expressed promising anti-epileptic and anticonvulsant possibilities. There are many reasons why Cannabidiol, Cannabichromene, Cannabinol, Cannabigerol, and Cannabidivarin are Healthy Hempies’ Favorite Cannabinoids. This, however, is only the beginning. The use of Cannabinoids may manage countless other conditions. Urging the U.S. Government to execute more clinical trials will bring light to the endless possibilities of these compounds. 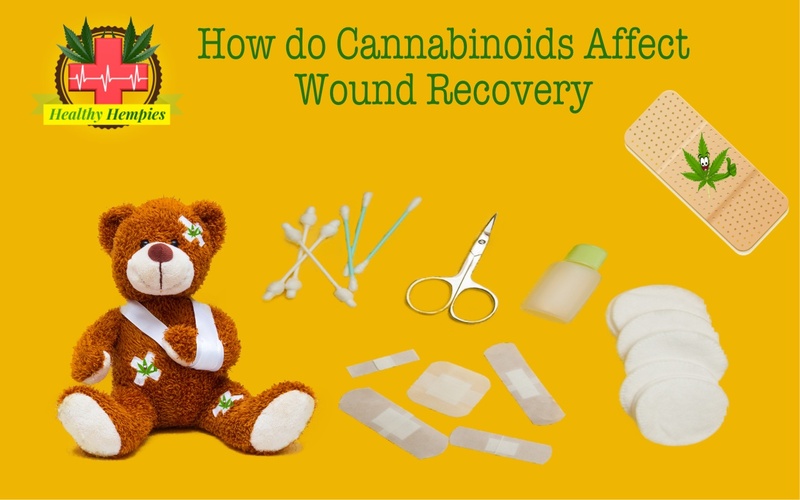 How Do Cannabinoids Affect Wound Recovery?